Bearington Bears, award winning teddy bears with their endearing features, superb quality and collectibility. There's a special Bearington Bear for every occasion! We ship Bearington Bears worldwide daily backed by our 100% guarantee. Contact our head bear - michelle@bearsonline.co.nz with any questions or phone +64 9 459 6070. 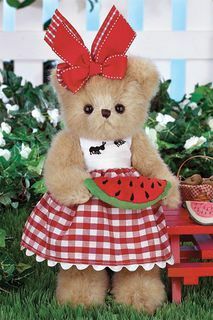 Bearington Bears are a family owned and operated company commited to creating award winning teddy bears. The Stray family started Bearington Bears over 15 years ago. Since 2000, Bearington has received over 100 industy design awards and nominations including several TOBY Industry Choice and TOBY Public Choice Awards and Golden Teddy Awards.